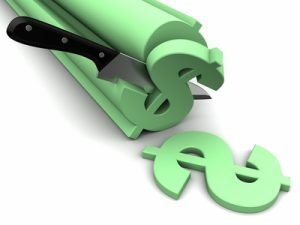 Dividing Brokerage Accounts in Divorce: Is 50/50 Always Fair? Divorcing couples often have after-tax brokerage accounts, but sometimes attorneys might not recognize that there may be a wrong way to divide these accounts. As a divorce financial advisor, attorneys hire me to review the same statements but with an eye to gathering additional information. First, what type of investments are in the account, and are they suitable for the client’s post-divorce needs? Next, what is the cost basis of the investments? Last, can we confirm that all the assets are divisible without surrender charges and/or penalties? Let’s take the case of Mrs. Smith. The parties’ joint brokerage account was primarily invested in high-risk assets, many with back-end loads. It’s likely that these positions won’t suit Mrs. Smith after the divorce. Her primary post-divorce investment goal is to receive income from her portfolio along with moderate growth within the confines of her low-risk tolerance. While Mr. Smith will likely maintain his current investment strategy, what will the cost be to Mrs. Smith if she has to reposition? If, for example, Google shares were purchased at $20/share and sold at $100/share, capital gains taxes on the profit would be owed, based on the party’s tax bracket and how long the asset was held. On the other hand, if Mrs. Smith left the entire position with Mr. Smith, perhaps he would retain it until he had enough capital losses to offset the gains, or maybe he would sell in retirement when he was in a lower tax bracket and capital gains taxes wouldn’t be assessed. In any case, tax liabilities should be incorporated in negotiations. Looking deeper, many of the account holdings in the Smiths’ account raised red flags. They owned back-end load funds which carry a penalty for early withdrawal. Mr. Smith won’t be repositioning his assets soon (after all, he was the decision-maker), so he won’t pay the penalty. However, Mrs. Smith wants to reposition immediately and would therefore incur a penalty. In addition, other assets such as private equity positions and real estate trusts were not divisible without cashing them in. How would that be fairly addressed when the divorce is final? Attorneys who are not financial experts should communicate with the existing financial advisor or call in a third party regarding which assets are best for each client. Remember, for some clients, there is a wrong “50%” of the assets.